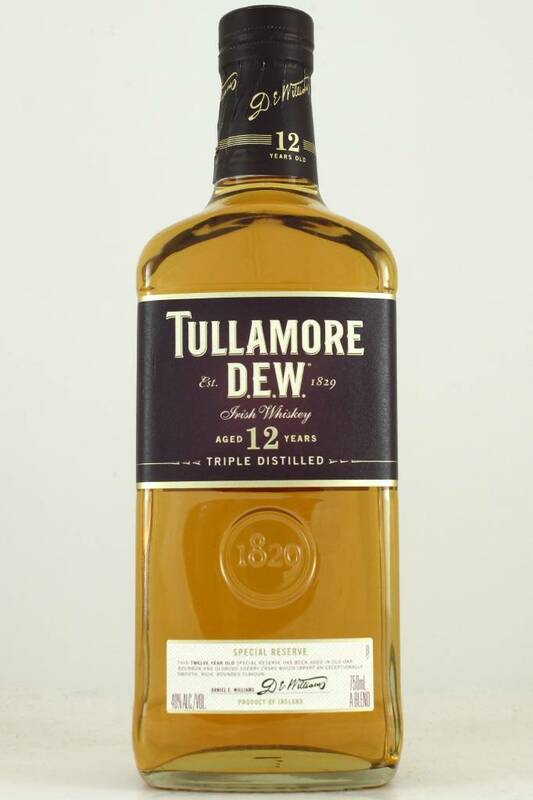 Originally from Tullamore, the distillery was founded in 1829, but is now a blended whiskey made at Midleton in Cork. There are plans to build a new distillery in Tullamore, which was closed in the early 1950s. All the whiskies in the blend are aged in old Bourbon and Oloroso sherry casks, which gives a sweet nuttiness and spice to the taste. A woodsy nose; brass color; An assertive whiskey, yet its age has smoothed out its edges. Not a full-bodied or thick texture, but it is a serious whiskey-drinker’s whiskey.